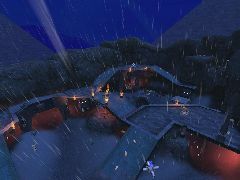 DM-1on1-Rivalry provides for intense battles in a water-worn gorge. 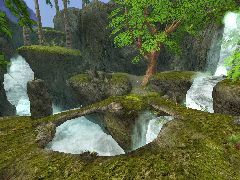 The smooth, organic forms of rock surfaces and the calming sounds of running water stand in contradiction to the utter carnage of the 1-on-1 battles. 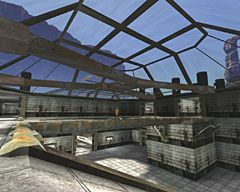 Rather than the hide-and-seek, flinch-and-shoot gameplay common to one-on-one maps (not that there is anything wrong with that), DM-1on1-Rivalry allows players to see each other most of the time.